I was lucky enough to have my Birthday Jane Quilt in the Vermont Quilt Show at the end of June. 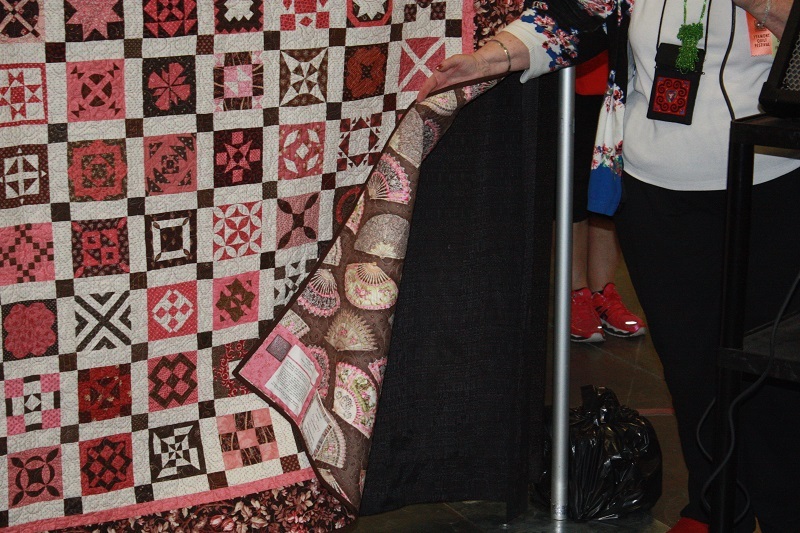 It was in a Special Exhibit celebrating 150 years of the Jane Stickle Quilt. This exhibit was curated by Brenda Papadakis who first drafted all those little blocks. 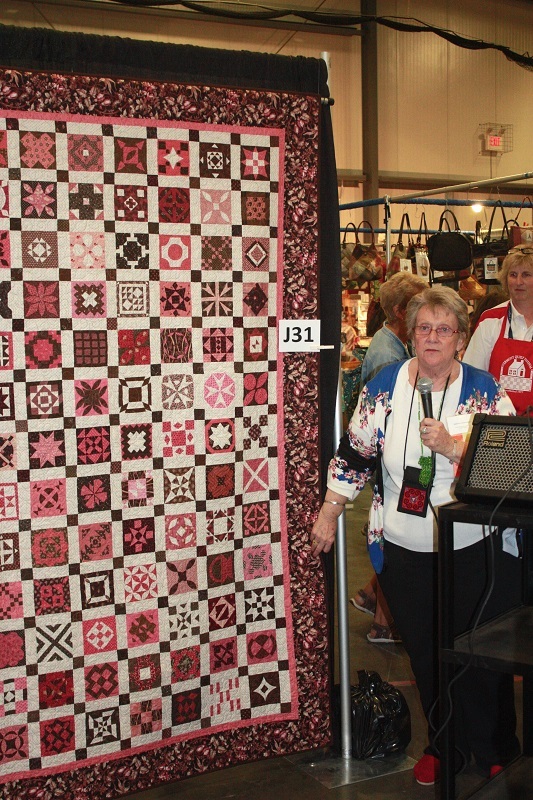 Here are some pictures of my quilt and Brenda during the presentation that she gave. Unfortunately I was unable to attend- Vermont is a long way from San Diego!!! 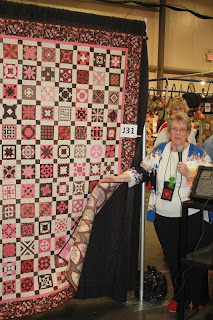 I would love to have heard Brenda's presentation and what she was saying about my quilt! Thanks to Deborah Bingham for taking the pictures and sharing with me! 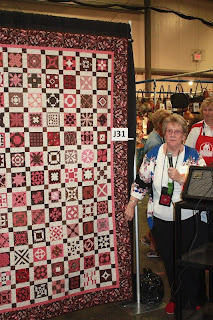 If you want to see more of the exhibit, check out photos at The VQF Dear Jane Special Exhibit. 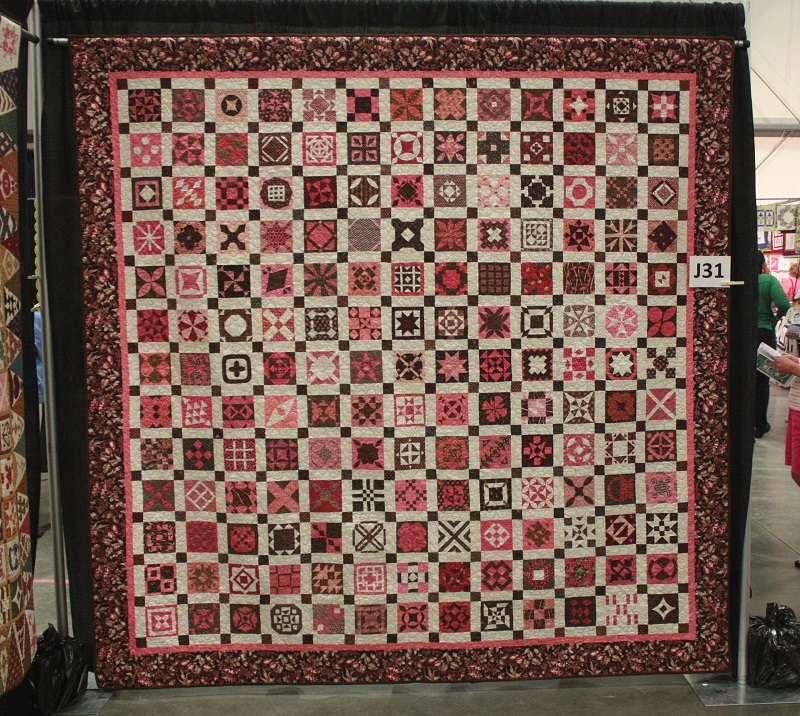 Kerry, your Dear Jane quilt is awesome. 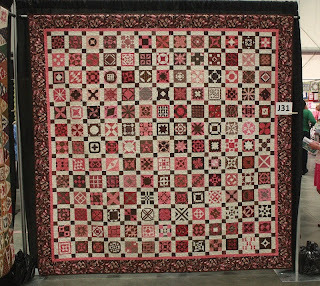 Wow, so many little blocks, beautiful quilt.